People: Talbot F. Hamlin, Ada Louise Huxtable, Robert F. Wagner, Jr.
Burnham served as the executive director of the New York City Landmarks Preservation Commission, and later went on to work as the head of the Commission’s research department. Alan Burnham first worked with preservationists in Brooklyn Heights to establish the area as a historic district. He chaired the Municipal Art Society's special sub-committee of the Committee on Historic Architecture, and met with representatives from Brooklyn Heights.5 In 1963, he authored New York Landmarks: A Study and Index of Architecturally Notable Structures in Greater New York (Wesleyan University Press, 1963). The structures that Burnham examined in his book were selected based on the list compiled by Talbot F. Hamlin and the Municipal Art Society. 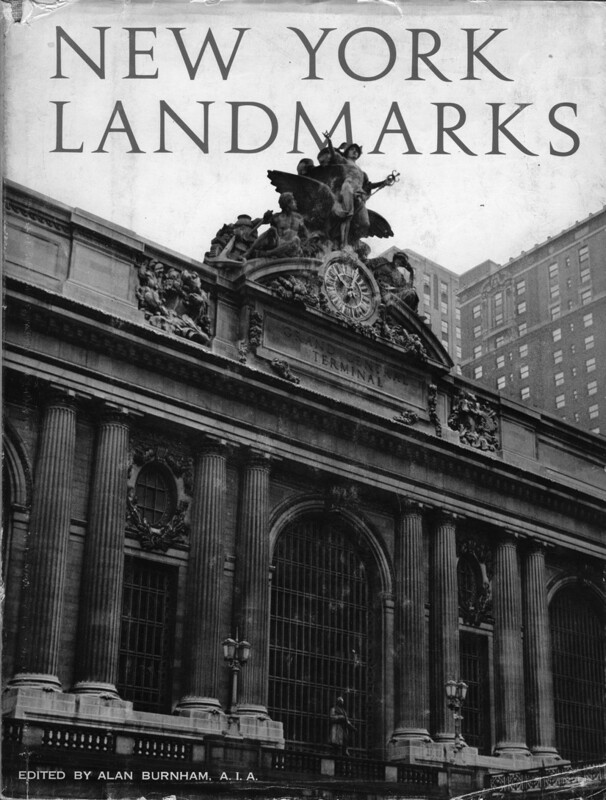 This book played an instrumental role in mobilizing a landmarks preservation movement in New York. Gerald C. Fraser, “Alan Burnham is Dead at 71; Architect and Preservationist,” The New York Times, 5 March 1984. Anthony C. Wood, Preserving New York: Winning the Right to Protect A City’s Landmarks (New York: Routledge, 2008), page 215. Gregory F. Gilmartin, Shaping the City: New York and the Municipal Art Society (New York: Clarkson Potter, 1994), page 374. Ada Louise Huxtable, “The Salvage of Old Jeff,” The New York Times, 23 September 1964. ”Village Opens Fight for ‘Old Jeff,'” New York Herald Tribune, 11 June 1961.